Rated 5 out of 5 by stoirms from Bludgeon "Fix" I checked in on the CE I purchased and still no fix to the bludgeon issue in Chapter 1; HOWEVER, I used a credit and downloaded the SE version. GREAT NEWS -- I just finished the first of five chapters with NO issues. The SE may not have the CE "bling" but at least I can play this game, which IMO is well done. Give it a try! 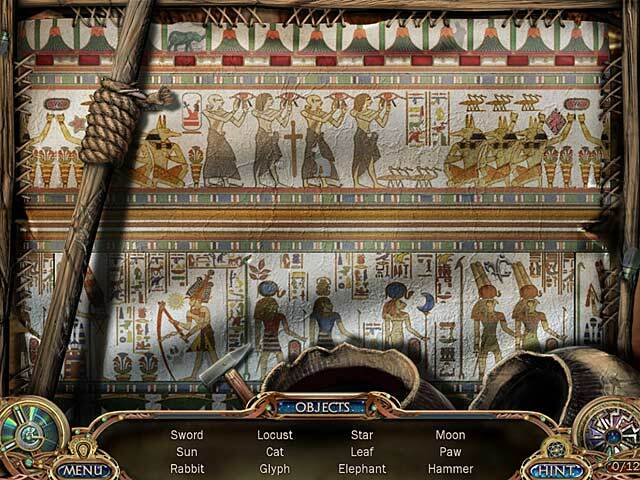 Rated 5 out of 5 by coha92 from Very Good Game Unsolved Mystery Club ®: Ancient Astronauts ® is a very entertaining game. I started the Collector's Edition but it didn't work and BFG gave me a refund. I also own the Standard version of the game and it WORK PERFECTLY!!! I really wanted to finish the game that I started because it was different from many of the games I played so far. Beautiful graphics, music, etc. Rated 5 out of 5 by LadyDream from Great grafics, great game! Almost bought the game as soon as it loaded, I liked the opening screen and the lizard so much. Once into the game, I noticed it actually does fill the whole screen top to bottom, which is extremely rare on my large lap top. I was distracted by the art work in the first HO scene. This is actually a good thing, I'm an artist and graphics go a looong way with me. The objects were relative to the story, not just junk pile, and really beautifully done. I also liked the story and that I couldn't understand the natives without some form of translation. I'm hearing impaired, so voice overs and music are largely lost on me, so it was an extra bonus that I understood the scientist, every word! Also, the music was nice and not intrusive. I got this as a DD, but it was worth full price. Haven't finished it yet, but so far the only thing I don't like is the silly wait for the clues to reload. Oh, and the cursor is a decent size and obviously changes. Just finished a game where I had to squint just to SEE the cursor. Really, really love this game! Rated 5 out of 5 by GrannyGoodness from An all-around great game! this game is one of the best Big Fish has to offer. The art & music are fantastic, the story is intriguing, and the minigames are fun and challenging! I highly recommend this game! Rated 4 out of 5 by Suelovesgames from Bought it for someone else I bought this for my husband because he caught me playing the demo and really liked it. So, we played it together. I couldn't have played it alone. I would have got frustrated with it. Excellent graphics and sound. I liked the uniqueness of translating some of the languages the characters speak. I didn't like how the hints work. They don't hold your hand and take you were you need to go. They sort of tell you what to do. Hints and skips take forever to charge up. I thought puzzles were challenging and interesting. I did iike the storyline and one of its strong points was its good atmosphere. Ending was okay, perhaps a little abrupt and perhaps it was a little short. I gave this a four star simply because I think quality wise, it's a good game and recommend it for people who like a bit more of a challenge without everything being handed to them on a plate. Rated 4 out of 5 by rosekaufmann from REPLAYABLE About 5 hours. 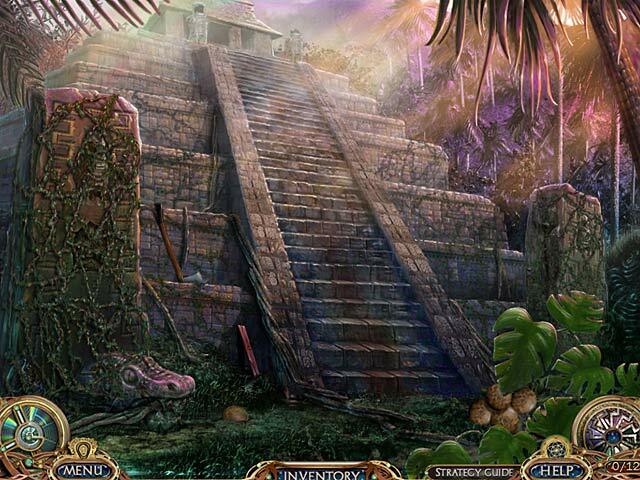 STORYLINE: Investigate 5 explorers who have disappeared while researching ancient astronauts in different locations. The explorers and the places where they vanished are investigated one at a time. You have to find pieces of a black sun gem during your investigation. Game is linear. GOOD: - Visit gorgeous locations in Mali, Giza, Maya, Peru and Antartica. - Adventures in Mali and Peru were fairly easy; Egypt was the most challenging to me. - When it appears there is nothing to do at a location, you have to look for things to do. They are there. You will know when you are finished with one location. - HOS were bright and detailed, not too crowded, with some interaction. - Check your interactive journal before going to the next chapter. Any uncollected items will be indicated by a lock. - Plays widescreen. - Replayable; HOS are random. - At the end, you can click on a location (or explorer) to be given a number of icons pertaining to that location. Clicking on the icons provide information or movies. I assume this is the bonus section which the story refers to when you finish the game, since I couldn’t find anything that specifically said it was a bonus section. NOT SO GOOD: - Conversations were too fast; no way to slow them down or repeat them. - You could suffer from vertigo at the beginning. In the CE, the bonus game is an additional rescue. So if the additional chapter isn't worth the CE price, you will be just as happy with the SE version, as you can get extra info at the end (last point under "Good"). Rated 4 out of 5 by CowboyDenver from Different and fun This is a good HO game, but with more puzzles and tasks than HOS. The storyline sets this game apart, and it is an engaging premise that got me to actually read the "notes" and "newspaper clippings." Personally, it was a hoot that without planning, I happened to open this game on the Winter Solstice 2012. The story featured the Mayans and the End of Days. One character says, "The 4th World will end, and the 5th World will start anew." Hah! The game got it right, and the "end of the world" media got it wrong. We're still here! Welcome to the 5th World! The music deserves a big tip of the hat. I loved that the composer used native instruments of the various locales where the story was set. It was also fun to receive more than one "tool" when a HOS was completed. The puzzles were of average difficulty with harder ones towards the end. I only needed the Help button a couple times, and the hints were actually "hints" – as opposed to just flat out telling you what to do. I wished the game were longer. Rated 4 out of 5 by Boomer1097 from Fun Game I enjoyed this game quite a bit. The graphics are great, the cut scenes are well done, the HOS are fun and most of the mini games are fun. The music and voice overs are well done. 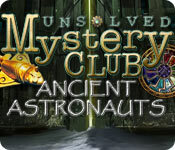 You travel to various locations searching for missing members of the unsolved mysteries club. The hint button recharges quickly, though you won't need it very often. The game has a satisfying conclusion. The game has a few annoyances. The most annoying was that certain scenes required very, very, very precise clicking to use an inventory item. Some the HOS had this same problem. The game also requires some time to load between scenes. Even with the annoyances, the game was fun and I enjoyed playing it. Rated 4 out of 5 by jmcbeauty from Based on long held theories The accomplishments of ancient civilizations has always been thought that there is more to it than should be. The tales of Atlantis being one. The story line is excellent and having to "translate" for each different culture was interesting to say the least. Not a lot of hidden objects, but you receive multiple objects to be used per hos. The objects are sometimes a little hard to find, but the hint button works well. I also liked the hint button for help with location and how to deal with something "the star flower" for example. The art was fantastic and the music was not annoying. I completed the demo and want to buy to find out what happened to the Unsolved Mystery Investigators. 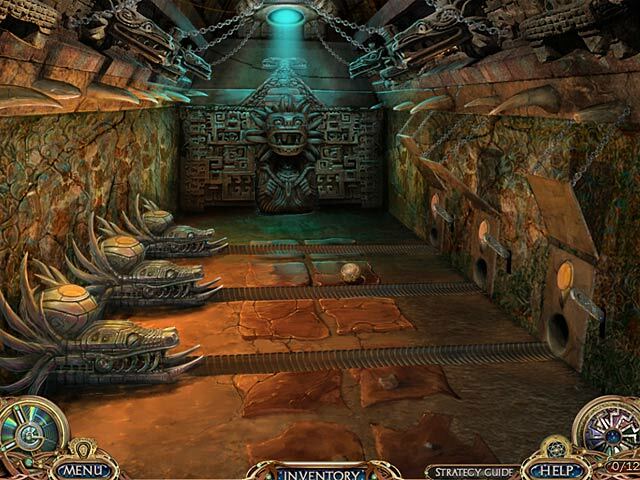 The level of challenge was good and the puzzles were not that difficult to solve. This is definitely a game to try because you may or may not like it, definitely a preference type.